We were completely exhilarated when we walked into this place. It was buzzing with excitement. The blue back lit bar is impressive andthe natural stone tiles and rich woodwork are elegant. Japanese artworkis displayed throughout the restaurant. Samurai is all about hibachi cooking. 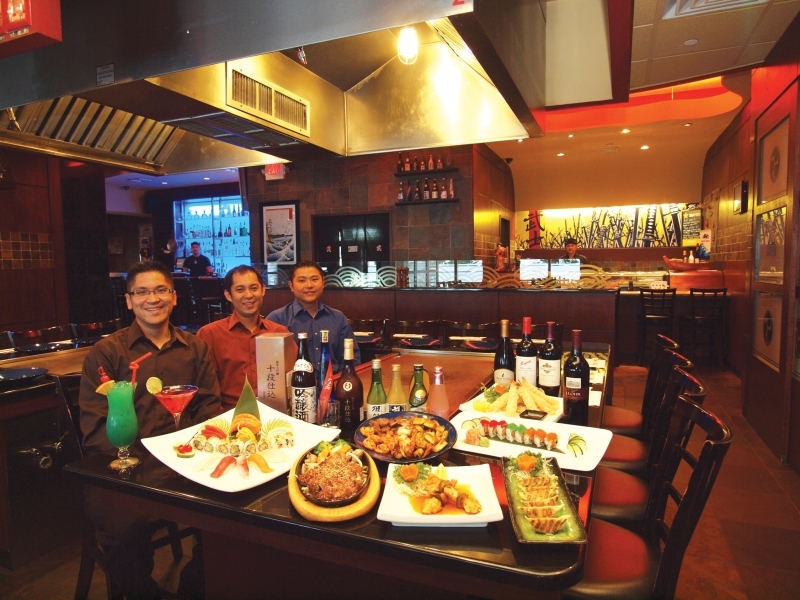 In fact, aside from a small sushi bar you will only find hibachi tables here. We were ushered to a hibachi table where we enjoyed a premium cold sake. The chef entered, took his place at the cooking station; the “performance” began. With great precision he cut up some vegetables, steak and chicken. All the whileflipping his utensils in the air. Every now and then the flames grew high and the “audience” gasped. It was breath-taking! When the dramatic “show” was over, we had a most delicious meal; tender vegetables,perfectly cooked USDA Prime steak, moist chicken, sweet shrimp andflavorful fried rice. The hibachi meal comes with a fresh salad with miso dressing and onion soup. For starters, we sampled the pristine sushi and lightly fried vegetable tempura. For dessert we had fried banana and ice cream, a delicious contrast of hot and cold. Sake is the drink of choiceat Samurai and there are numerous choices. There is also a list of wine, martinis and cocktails. Samurai is a great place to celebrate a birthday and receive acomplimentary cake. 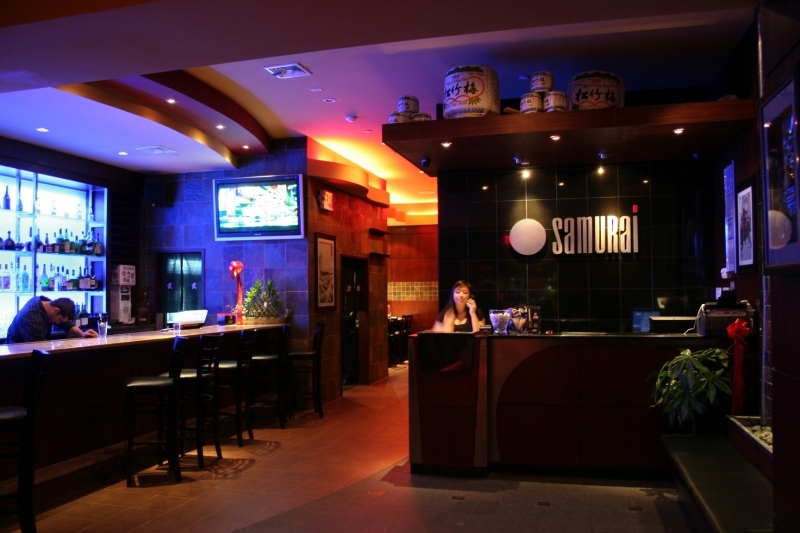 It’s show time at Samurai every time!